I’m sure that I don’t have to tell you how important skincare is. I think that everyone has the same goal and that is to achieve the best skin possible. 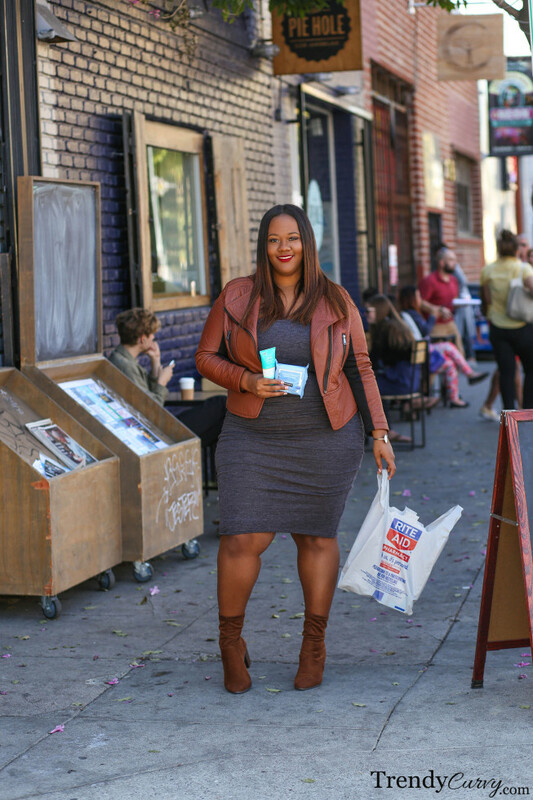 I am a creature of habit and have some mainstay products that I will always use. They work for my everyday needs and they have stood the test of time. 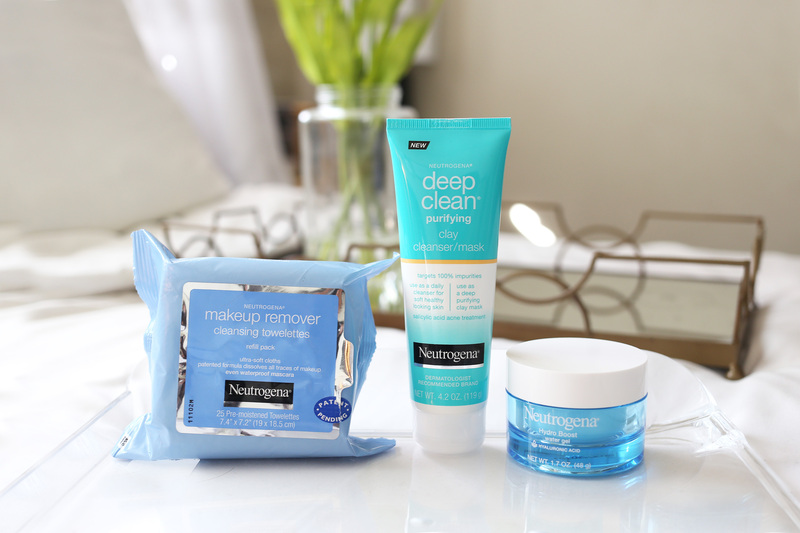 One of those products is the tried and true Neutrogena Makeup Remover Cleansing Towelettes. I am a stickler on removing makeup every single night before going to bed. My particular skin type cannot handle oils and products on my face overnight so these towelettes are my best friend. I have tried many alternatives and none measure up to this one. Removing even the heaviest and most stubborn makeup products, it makes this task easy with only a few swipes. While I have my go-to products, I also like to dabble in the latest products to help boost my core routine. 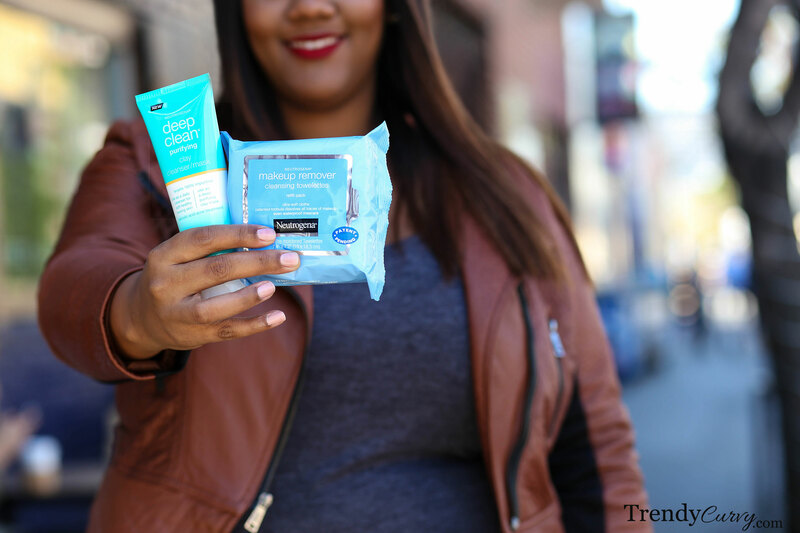 So as I was picking up my cleansing towelettes at my nearest Rite Aid, I couldn’t help but notice some of the newer products that Neutrogena has added. There were a couple in particular that caught my eye. The first is the new Deep Clean Purifying Clay Cleanser and Mask. I have tried clay masks in the past and wanted to make them a staple in my skincare regimen. I love how this particular one can be used as a daily cleanser or a mask depending on my skin’s needs. The second product that I purchased was Neutrogena’s Hydro Boost Water Gel which is new for me but not new to the Neutrogena family. I have found that my skin needs constant moisture. My pores tend to absorb product pretty quickly so I’m always trying to find ways to replenish that. This water gel is to be applied after cleansing and will keep skin hydrated for up to 48 hours. Sign me up! With these three products, I was excited to try them so off I went! Here are my takeaways. 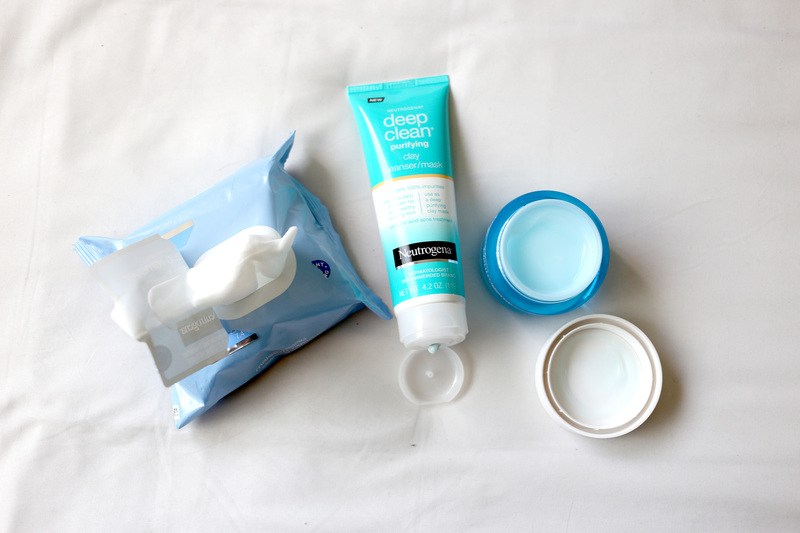 I used the Deep Clean Purifying Clay as a mask and my skin felt so refreshed. You know the feeling when your skin feels very clean but not stripped? Yea that’s how mine felt. My skin is so prone to breakouts so I really love that this clay mask got deeper than my normal cleansers. Then it was time for moisture. I used the Hydro Boost Water Gel after the mask before going to bed and let me tell you, it works so well as a night cream! It’s lightweight but still provides ample hydration. I could tell a difference in my skin the next morning and even throughout the day. I love when new products work out! Thankfully Rite Aid is a one stop shop to get all of my skincare needs. AND just as a tip, Neutrogena Skin care will be Buy 1, Get 1 50% off this week and next so you don’t want to miss out! 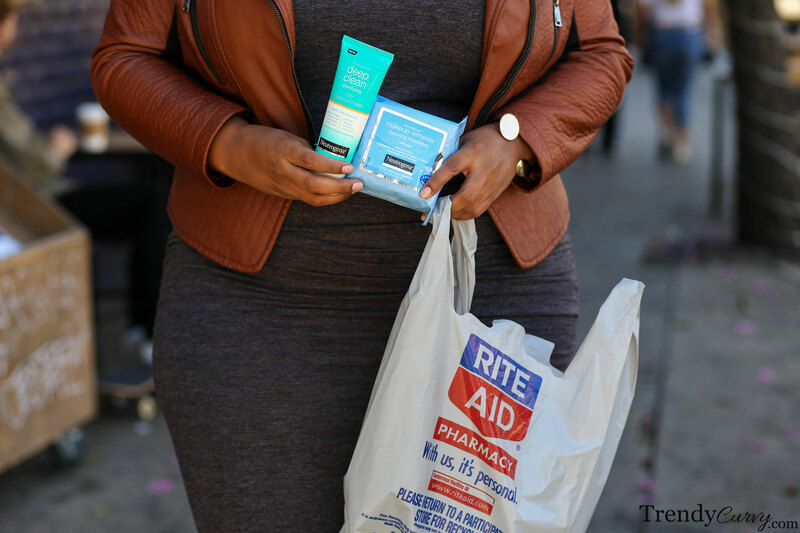 AND (this is the last “and”) I’m hosting a giveaway for a $50 Rite Aid gift card on my Instagram. Be sure to like the picture and comment to enter. I sooo love this look. I find myself anxious about what you’ll put together next. 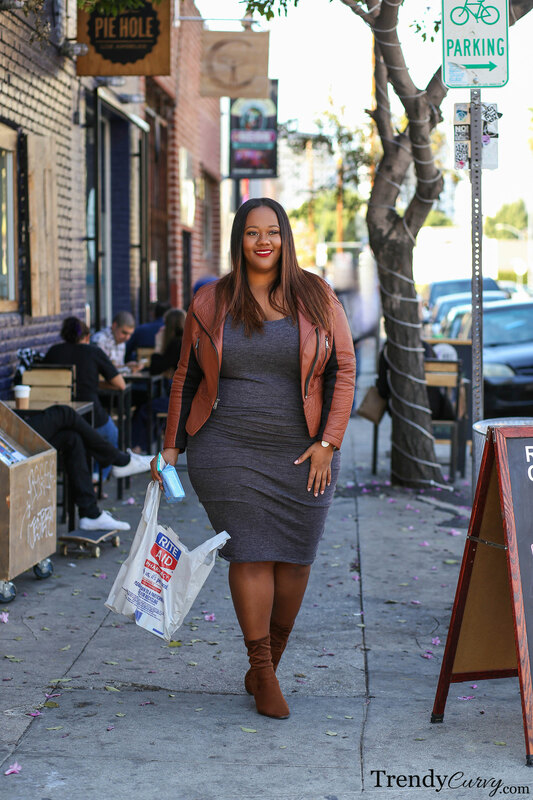 Simply BEAUTIFUL…..
Where can I find these apparel items? Thanks so much LaToya! Unfortunately the items are all old and no longer available. So sorry I couldn’t be of more help! Hi Beautiful! You showcased a lovely blue dress with belt on your Instagram from a UK retailer. Can you share that info again please? Would love to grab one for a conference. Your style is flawless!! I really like the Hydro Boost Gel. I have been using it for about two months. I really like the product. I have always used Neutrogena moisturizer. Too bad they discontinued the anti wrinkle anti acne moisturizer. But now I use the anti wrinkle one for years. BTW, you look great. I have purchased a couple of the outfits you have LOL !! I really like the Hydro Boost Gel. I have been using it for about two months. I really like. I have always used Neutrogena moisturizer. Too bad they discontinued the anti wrinkle anti acne moisturizer. But now I use the anti wrinkle one for years.